Professional Band Portable Durable Oxford Cloth Trumpet Big Bag Case 20.86"
As described, fast shipping, Fit grandson's trumpet perfectly, Thanks!! 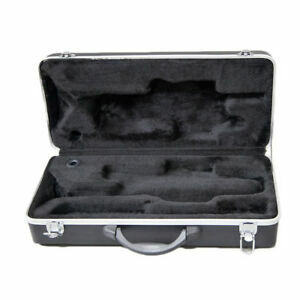 RECEIVED A DIFFERENT PRODUCT ALTOGETHER - it fits a trumpet but was a canvas, soft exterior case (not weather proof at all) with a foam underside. There are no metal latches but instead a zipper, much like you find on a duffle bag. Far from the HARD CASE above that I ordered. I'm not returning it because it's not worth the shipping and fight. VERY DISAPPOINTING! Very good, came fast and it looks like the picture. Good job! !